Pete Mortensen is a design strategist for consulting firm Jump Associates and the co-author of Wired to Care: How Companies Prosper When They Create Widespread Empathy, a book and blog that are significantly more interesting than you might initially think. Pete's particular Apple avocations are both around design--interface and industrial. Follow him on Twitter! Ah, fall. When the days grow shorter, the air gets crisper, and we finally get American football back after a purgatory of endless midseason baseball games and Olympics roundups about Bob Costas’s dimples. 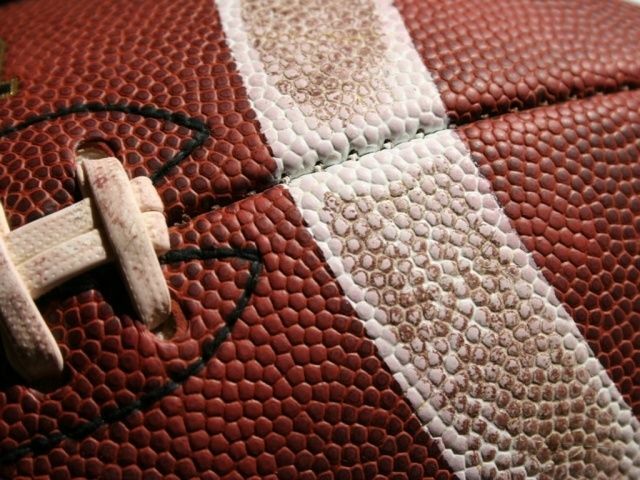 I’ve been obsessed with football — both college and the NFL — since I was a little kid, so this is unquestionably my favorite time of year. And there’s never been a better time to be a fan. Apps galore for iPhones and iPads have now made it possible to watch games on the go — and out of original broadcast market. A word of warning: several of these applications only work in the U.S. market and with a subscription to cable or satellite. So no fair complaining about that like the App Store critics do. 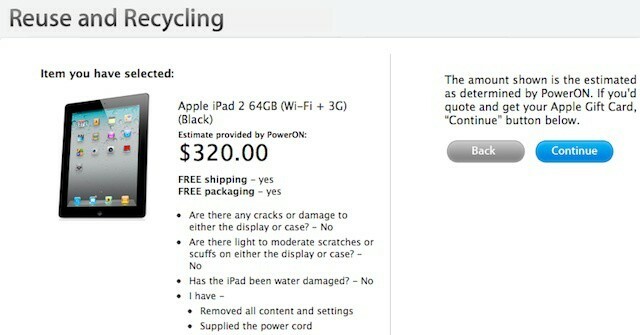 Like a lot of people, I greeted the news that Apple was on the verge of scheduling a press conference for the inevitable third-gen model by scouring the web to discover who would pay me the most for my gently used first-generation iPad. After poking around a bit, I selected NextWorth, which had a good reputation on various sites (including ours) and was offering $170 for my WiFi 16GB iPad, a solid $30 higher than anyone else. I printed the prepaid UPS label and shipped it off, waiting for the deposit to my PayPal account on the other side. So imagine my surprise when I received an e-mail two weeks later offering just $70 — effectively the value of the battery and internal electronics alone. Needless to say, I was pissed off. As it turns out, I had good reason to be. Quite ironically, I was getting shorted on my iPad because of a software glitch. As were many others like me. It’s a well-known fact that the late Steve Jobs was obsessed with simplicity and aesthetics, two traits that he drove into the core of Apple and will outlive him. What’s been less clear until his passing is how much those traits, his worldview, and the business that defines his legacy came from a lifelong affection for and interest in all things Japan. Japanese tech journalist Hayashi Nobuyuki, who has covered Apple for years does a brilliant job chronicling Steve’s love of Japan in a piece for Nippon.com that I can’t recommend highly enough. A few of the tidbits can also be found in Walter Isaacson’s biography, but there are plenty of surprises to be had, as well. In particular, the stories of his vacations in Kyoto, the artisans and designers whose products he bought with regularity, and the time when he threatened to renounce the world and become a monk. It’s a nice, pleasant read, perfect to enjoy with a cup of green tea and a headache. Happy New Year, everyone! Pieces will be written by Steve Jurvetson, John Sculley, Sean Wilsey and William Gibson, as well as Bloomberg News and Bloomberg Businessweek reporters and editors Jim Aley, Brad Stone and Peter Burrows. Many thanks to one of my other early inspirations (and now a friend), Gary Wolf of Wired and Quantified Self, for Tweeting it earlier tonight. Just astounding how much clarity Steve already had about what could and needed to be fixed in the tech industry. All of it and more has now come true. 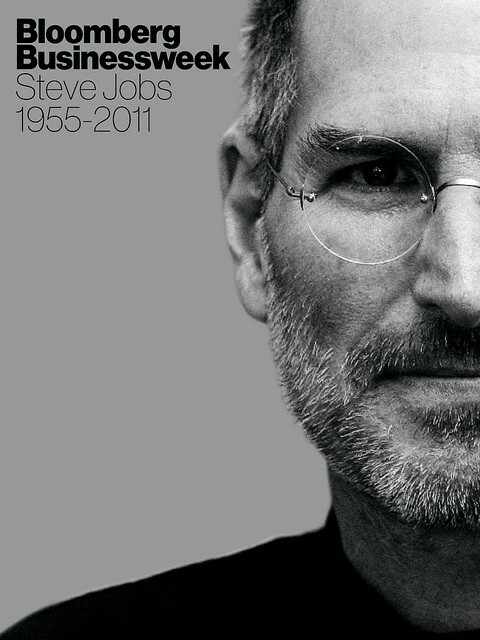 Though iCloud is only starting to match what Steve had with networked storage way back then. Before I get any further, I readily admit that what follows is going to be indulgent. 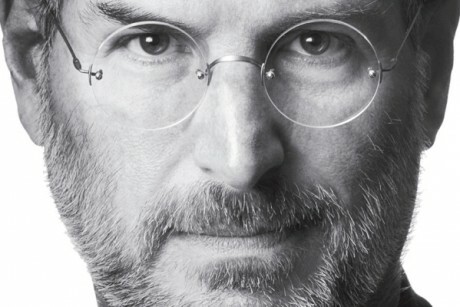 I can’t call it self-indulgent, because my hope is that it will be far more about my hero Steve Jobs and the millions upon millions he inspired than it is about me. Consider this one Machead’s experience, nothing more. And though I knew this day couldn’t be too far into the future, I also never expected I would be forced to reflect on his life, past tense, so soon. This has been a difficult hour. My thoughts and prayers are with his family and those who had the privilege to know him well. Apple’s New Siri is Playing Catch-Up to Google Voice Actions. But in a Very Human Way. As far too many people have pointed out already, Apple’s event this morning was a bit of a disappointment — as a spectacle. 16 months is a long time to wait for an incremental hardware improvement, which the iPhone 4S unquestionably is. 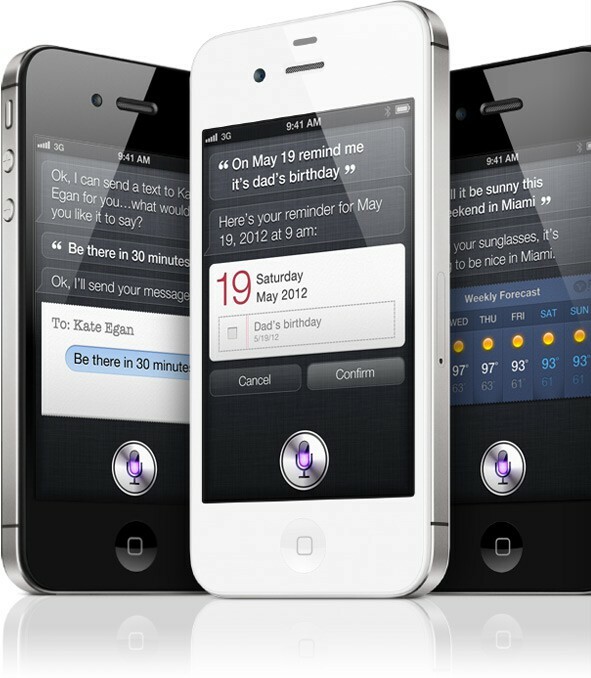 But there was one announcement amid all the recap of iOS 5 and iCloud features that should have been tremendously exciting to anyone who cares about the future of interactions: Siri, the voice-activated assistant exclusive to the iPhone 4S. As always happens when Apple rolls out a major technology (in this case, e-concierge services), critics are happy to point out that Cupertino is late to the party (can you believe that it took them 5+ years to respond to the Treo?!). Specifically, they’re calling Siri a catch-up effort to match Google Voice Actions technology that’s been available on Android for well over a year. Having used Voice Actions for awhile now, I can confirm that this is half-true. On a feature-by-feature basis, Siri looks me-too. But from an experience standpoint, it’s totally different. As usual, Google’s implementation is process-oriented. Apple’s, unsurprisingly, is human and friendly. And this is why Siri has the potential to be revolutionary. We’ve got a special one for you, folks. My dear friend and colleague Bill Scott found a delightful treasure while riffling through his archive a few weeks ago: the original brochure for the Lisa, Apple’s very first graphical user interface computer with a mouse. Bill worked at Hovey-Kelley Design when the firm created the first mouse (his beautiful sketches can be seen at the New Yorker). 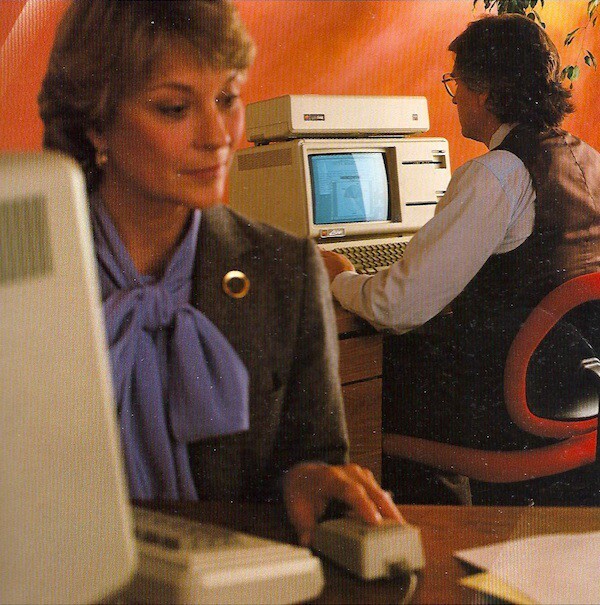 Dating from early 1983, the brochure is a fascinating window into how Apple was thinking about the future of computers almost 30 years ago. It has hilariously florid discussions of how revolutionary the mouse is (“The mouse and the natural movement of your own hand. They’re all you need to control Lisa.”), overly obvious explanations (“The keyboard is just for typing.”), and the occasional fashion anachronism (see the vest and lavender bow above). Though it would be a few years yet until Apple became an industrial design powerhouse, it’s interesting to note how advanced the company’s graphic design already was — at least by the standards of the pre-Mac, dots-and-teal squiggles era. It’s an enormous document, so I’ve uploaded it to Scribd, where you can read it online or download it for offline reading. Definitely worth your while if you bleed brushed aluminum. Today is a huge day for Mac users. For the first time ever, Apple is offering a major Macintosh operating system upgrade exclusively over the Internet. The company has also discontinued much of the boxed software it offers in a clear signal that it hopes and expects to see the vast majority of applications for the Mac delivered through the App Store from this day forward. Just as it did with music (and to limited degree with DVDs), Apple wants to eliminate all physical artifacts from its computing experiences other than the hardware it makes. But there are downsides to this. Immaterial purchases don’t carry all the same property rights that physical ones do. When the iTunes Music Store launched, users quickly learned that it’s a lot harder to return or resell an album bought from Apple than it is to do the same with a CD. With the iOS App Store, we all know that it’s not easy to get your money back if you make a foolish purchase. I’ve recently had the opportunity to carry a second phone (a while with Android, awhile with Windows Phone) in addition to my trusty and increasingly busted 3GS (missing volume buttons, broken lock button). I say “opportunity” largely because I’m kind of annoyed that I didn’t buy an iPhone 4 when I had the chance, and now it’s looking like the fall before I’ll get to upgrade to an iPhone 5 or whatever Apple chooses to call it. This makes now an ideal time to take a close look at what the competition is up to. The worst kind of fan is the unthinking, in my view, so I jumped at the chance to know whether my iOS admiration was warranted, and, if not, actually get to preview a handset I could contemplate switching to at some point (for obvious reasons, I would not run the same experiment with other tablets. The iPad really is the only game in town). Join me, then, for the Apple maniac’s up-close tour of the distinguished competition, through peril, triumph, and confusion, as I take a long, hard look at life with a Nexus S 4G and an HTC HD7, representatives of the very mature Android (Nexus) and the practically beta Windows Phone 7.